Jordan Ingram of FishDuck.com was at the Hatfield-Dowlin Complex following Oregon’s spring practice on Friday. Ingram had the opportunity to speak with redshirt sophomore Chris Seisay about the development of the Ducks thus far. Amid the flurry of roster moves that we saw last season included replacements for veterans on both sides of the ball. Hroniss Grasu and Jake Fisher were sorely missed at the beginning of the season. Injuries to other star offensive weapons including Devon Allen forced head coach Mark Helfrich to make some tough moves in order to keep the Ducks afloat. 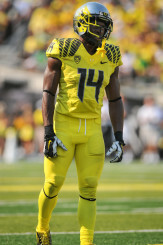 The most concerning injury however was that of all-American cornerback Ifo Ekpre-Olomu who suffered a serious knee injury before the beginning of the inaugural College Football Playoff. In a match-up against defending National Champion Florida State Seminoles in the Rose Bowl, Seisay was expected to shoulder a great deal of responsibility for keeping the Ducks playoff hopes alive. The injury to Ekpre-Olomu opened the door for Seisay. The mental edge will be critical for Seisay who has Ugo Amadi fighting for a chance to prove himself and the incredibly physical Charles Nelson, who will be breaking up passes instead of receiving them this year. The competition among the defensive backs has been tight according to Seisay who told us “Everyone is trying to make plays.” With questions surrounding the secondary more than any other position — except perhaps quarterback — it would be expected that everyone is putting everything on the field right now. When asked about Amadi, Seisay was impressed: “He’s doing great, especially for a true freshman who graduated early,” he told us. True freshman Royce Freeman tore holes in defenses last season. The 2015 season could be a chance for a similar situation on the defensive side. Fear mounted for Duck fans when Ekpre-Olomu went down but Seisay managed to reassure us that the Ducks “next man up” philosophy is much more than a catch-phrase. 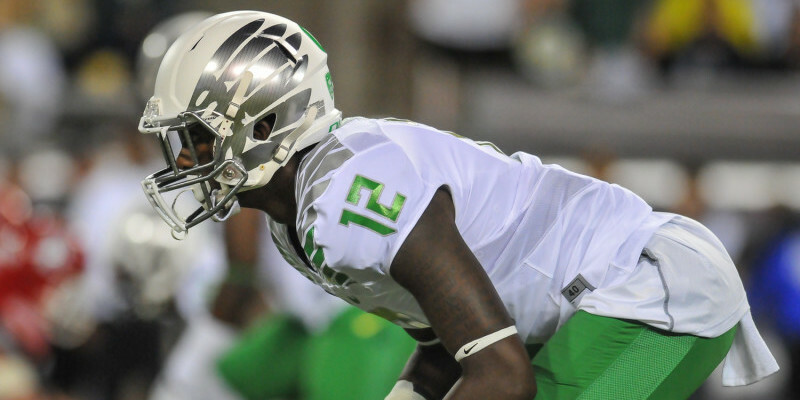 With postseason experience to his name and familiarity with the system, Seisay is poised to enter this stage — the height of his career at Oregon. Oh, what a time it is to be a Duck!